If you enjoy retro horror, GOG is an absolute goldmine. 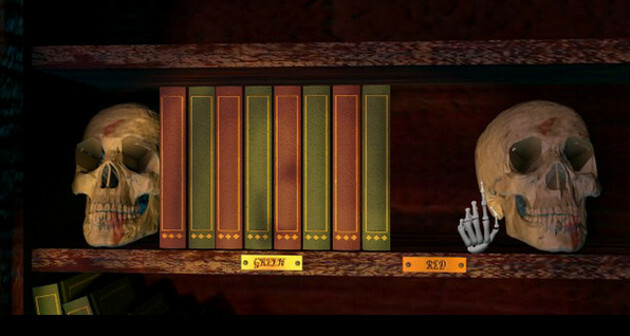 There massive library includes all kinds of spooky games, from point-and-click jump-fests to moody FMV adventures. Best of all, you can enjoy most of their titles even if you’ve only got a few bucks to your name. Whether you’re in the mood for cheap thrills or atmosphere, these budget-friendly titles should keep you entertained. Don’t fret if we forgot one of your favorites; it probably appeared on this creepy horror countdown at our sister site, GeekParty. But before long, Harvester squanders its creepy premise completely. It’s packed full of ridiculously brutal violence, and sneaks in as much offensive content it possibly can. At times, it veers into South Park territory, with gore so over-the-top you can’t possibly take it seriously. Harvester is deeply flawed, but it’s absolutely worth playing. Its puzzles and gameplay are solid, and there’s something endearing about its desperate need to offend. If you’re a fan of trashy horror and kooky dialogue, you’ll have a great time with this weird little gem. At first glance, Personal Nightmare seems like a nonstop barrage of cliches. You’re tasked with exploring an old abandoned mansion, where you’ll encounter a number of overused horror tropes, including evil vampires, creepy statues, and coffins that won’t stay closed. But while it isn’t the most original game in the world, it has no shortage of ambiance. It uses its graphical limitations to great effect, never telling or showing the player more than it has to. Its sound effects will scare you out of your seat, and you’ll be pondering its mysteries long after the game is over. I Have No Mouth and I Must Scream is based on the the classic Harlan Ellison story of the same name, and the basic premise is fairly similar. The last five humans on earth are forced to live inside the mind of a twisted supercomputer, AM, and must face whatever tortures it tosses their way. Hoping to crush whatever spirits they have left, AM send each survivor to go on a dark and frightening psychological adventure. In order to escape, the player must prove that humans are superior to machines, and that even the worst of humanity can be redeemed. 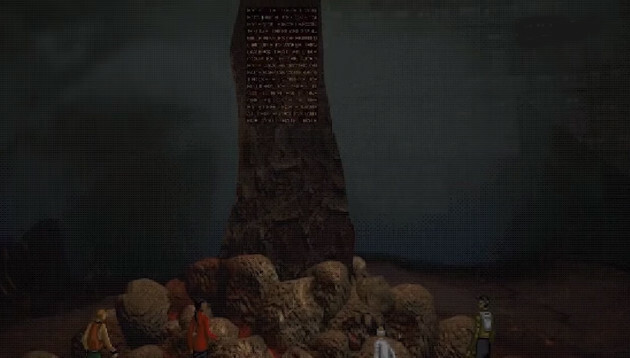 The story for the game was penned by Ellison himself, and it’s absolutely fascinating. The dilemmas it asks you to face are extremely complex, and they are often deeply disturbing. It’s depressing and fairly disgusting, but at its best, it’s also inspiring. Horror and sci-fi fans owe it to themselves to check it out. While a number of retro titles combined puzzle-solving and horror, no one did it quite as well as The 7th Guest and The 11th Hour. Both game constantly leave you wanting more, pushing you to solve puzzles as you desperately try to unravel a few more secrets. The puzzles are extremely tough, but they’re always fair. The most challenging puzzles are often the most clever, and coming up with a solution is incredibly satisfying. The story hasn’t necessarily aged well — the acting is cringe-worthy — but it manages to be compelling even when it heads into cheesy territory. If you like difficult puzzles, atmosphere and suspense, both these games are worth your time. Bad Mojo is one of the most disgusting games I’ve ever played, but in a fascinating, Kafkaesque sort of way. 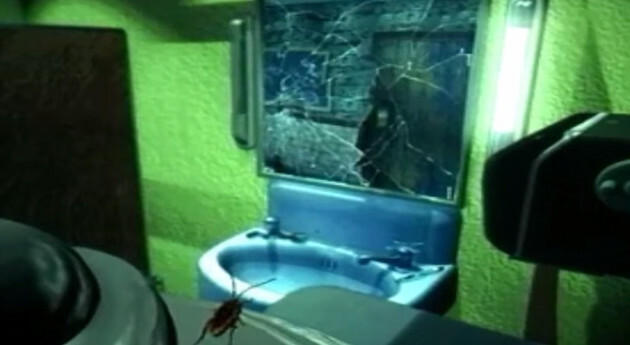 After an unfortunate incident with an enchanted locket, your character is transformed into a cockroach. 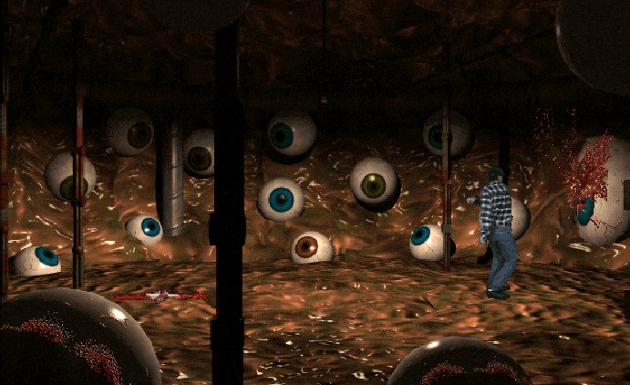 You must skitter through a dingy bar, solving puzzles as you work to free yourself from your grimy curse. The game occasionally asks you to do some pretty gross things, but the main story is surprisingly heartfelt. As you progress, you’ll learn more about your character’s tragic past. You’ll find out what drove him to make the choices that he did, and do your best to guide him towards a better future. Beneath Bad Mojo‘s repugnant exterior lurks a game that’s both charming and sweet. It’s a little short on scares, but it’s a ton of fun, and will make you think twice about squishing a bug. I like to write about stuff and yell at the moon. I think I might be twelve. I'm probably not Daredevil. Probably. Stardew Valley: Where Is the Spring Flower Dance? How Many People Has the Berzerk Arcade Game Killed? Retrovolve Reviews Books: The Minds Behind the Games by Patrick Hickey, Jr.